Open dawn to dusk throughout the year. 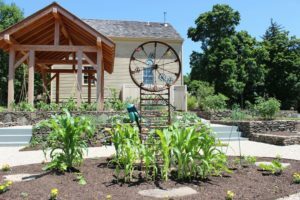 The land surrounding the Tapping Reeve House has been re-imagined – not as a strict interpretation of a time period, but rather as a community resource with landscape elements that would have been found on the site, and in Litchfield, from the 18th to the 20th centuries. The Tapping Reeve Meadow introduces adult, family and school audiences to the natural world as lens for better understanding our past. 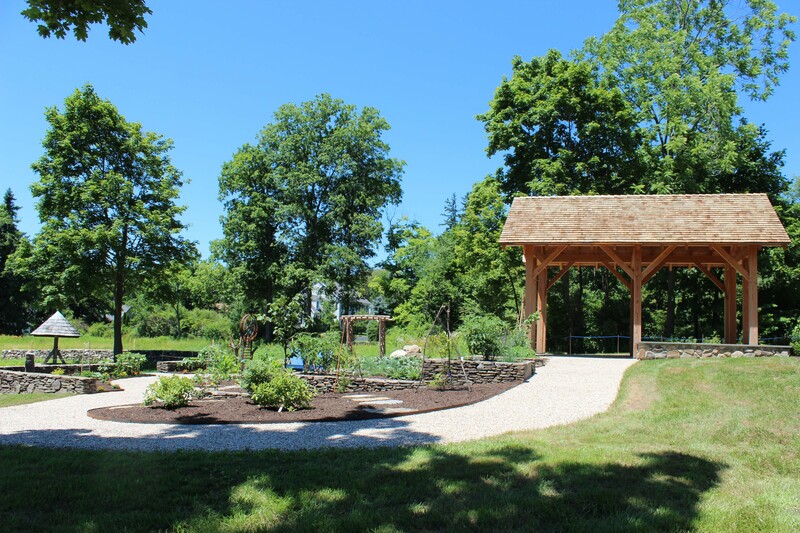 The site features elements of the historic landscape and includes a children’s garden, education pavilion, small orchard, a chestnut grove, a wet meadow, stone walls and traditional fencing. The Meadow provides the community and visitors with opportunities for learning, relaxation and reflection. Programs give visitors up-close and personal interactions with nature – not as passive bystanders, but as active participants who touch, smell, taste, learn new vocabulary and develop observational and listening skills. Watch our Calendar of Events for a full schedule of programs and events in the meadow. The Meadow will be open dawn to dusk. 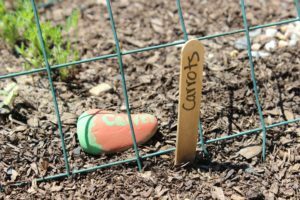 The traditional household kitchen garden has been re-imagined as a Children’s Garden with a complete schedule of programs and activities. Check our Calendar of Events for more. During the 18th and 19th centuries many homes in Litchfield had small orchards on the land to the rear of the homes. The new orchard is planted with heirloom variety apples. Stone walls built with native stone are an iconic part of the New England landscape are “signal flags for history and prehistory, the threads that hold the historic landscape together,” according to University of Connecticut geology professor Robert Thorson. Many of these walls are disappearing through neglect, development and in some cases the stones are being removed and sold. The landscape includes several different walls, keeping the tradition alive. In the 19th century Litchfield streets were lined with magnificent chestnut trees. The trees were all lost, but new, disease resistant varieties are taking their place in the landscape. 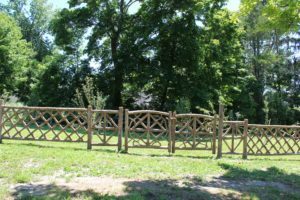 The property features a chestnut orchard with new varieties of nut bearing trees. The Reeve property runs from South Street to Meadow Street and the land is the last existing meadow on Meadow Street. A portion of the property is retained as a wet meadow.